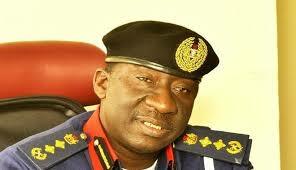 Commandant General of the Nigerian Security and Civil Defence Corps Abdullahi Gana Muhammadu on behalf of the officers and Men of the Corps heartly congratulates and felicitate with the new Inspector General of Police Abubakar Adamu Muhammed for his appointment by the President and Commander-in-Chief of the Armed Forces, Federal Republic of Nigeria, Muhammadu Buhari GCFR. He reiterated that his appointment was divine and designed by God therefore, he should see it as means of proving his prowess and service to humanity as a man of integrity whom he is. Gana noted that as a well-trained Police Officer full of experience and technical know-how at the local, national and international level with lots of exposure on policing, he should use the experience to turn the service around and build more on the legacy of his predecessor in ensuring cordial relationship and greater synergy with sister agencies. He pledged the Corps unalloyed support to the new IGP Abubakar Adamu Muhammed and assured him of cooperation, synergy and a better working relationship. He charged the State Commandants, Zonal Commanders, Operational Officers among others to ensure that they remain committed to delivering their service to the Nation in line with the Corps Mandate by partnering with stakeholders and synergising with other services such as the Police without rancour.